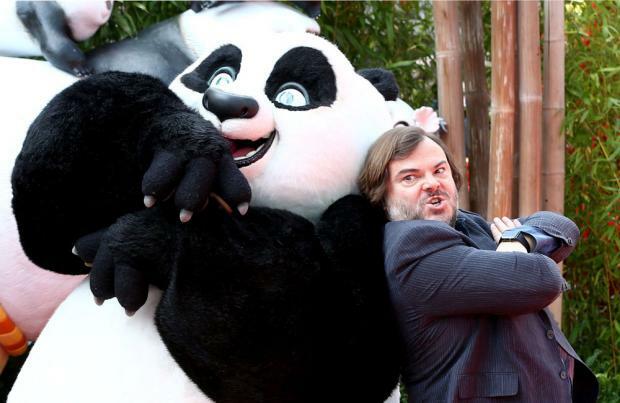 Jack Black has never met Jackie Chan. The 'Kung Fu Panda 3' star - who plays Po in the animated franchise - may have featured in all three movies in the series alongside the Chinese actor, who plays Master Monkey, but they have never come face-to-face in the eight years they have worked on the films. Jack said: "We all work in isolation - that's the way it is with big animated features. They get one star at a time, because it's got to be all about the actor for that block of time. "I did get to hang out with everybody during some of the promotion, but I've still never met Jackie Chan. "It's my third movie with Jackie. We've grossed more than a billion dollars together, but we've never had one handshake." Though he doesn't appear physically on screen in the movies, Jack, 46, felt he ought to learn some kung fu moves. He told Waitrose Weekend magazine: "You know, I have learned some kung fu as a result of 'Kung Fu Panda'. "I felt like it was part of the process, that I should get a little yin and yang in my game. So I found a dude who taught me some moves. But I'm pretty rusty right now."